Sweetheart Dressing Up Rail | Great Little Trading Co.
Self-assembly required: Download assembly instructions here. 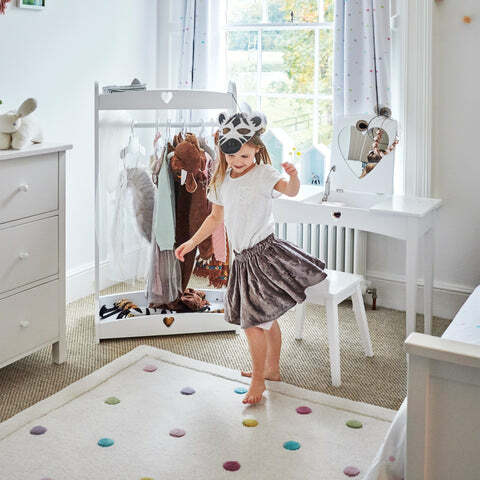 This is much more practical for children than a dressing up box, because it's easier to find everything - we recommend tiaras in the top tray, dancing shoes in the base. It's also available in our Star Bright design. 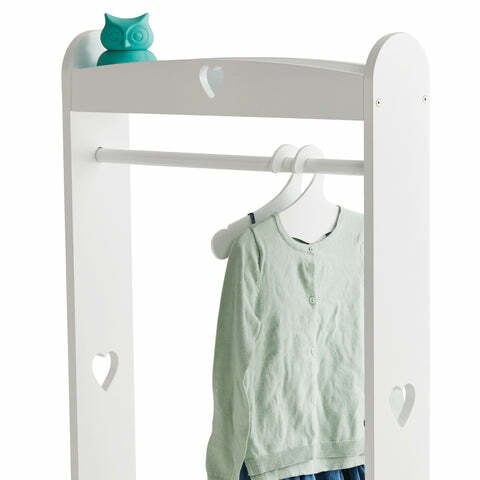 This is a fantastic way to store dressing up outfits or clothes - its much easier to use than a dressing up box! We love its sturdy construction and the useful storage tray for shoes and accessories. Includes six wooden hangers. 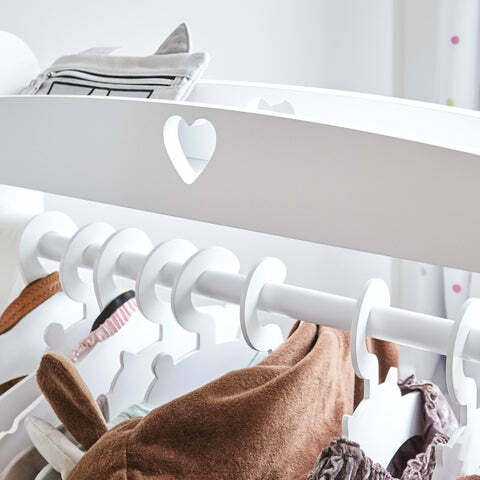 If you have lots of outfits to accommodate you might also want to invest in an Extra Set of Hangers; you might also like to match up your Clothes Rail with a Sweetheart Mirror, or a Sweetheart Dressing Table.